The agency warned: "A swathe of very strong westerly winds is expected to move east through Saturday morning, easing from the west during the day". Saturday will see a mix of sunny spells and blustery showers, with the most persistent rain in the north of the country and the possible risk of hail and thunder in the west. As this morning progresses, however, the rain and cloud cover will head towards Scandinavia although, for most areas in the south, it will still be a wet start to the day. Storm Erik will continue to batter the United Kingdom today with strong winds before snow showers hit some parts of the country. 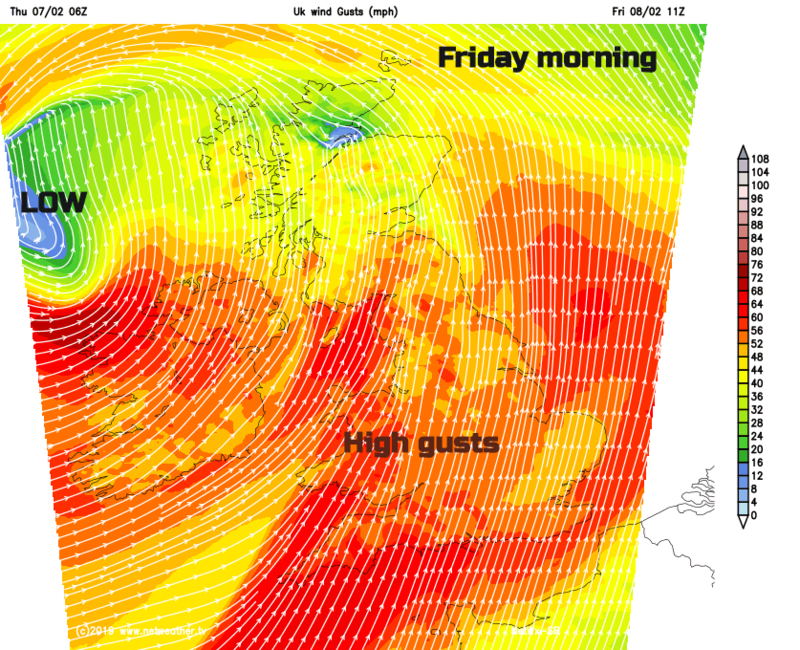 And the blustery weather looks set to continue into the weekend, with the Met Office extending a yellow warning, admitting the storm turned out to be stronger than originally anticipated.